In the wake of a disaster or a burglary, possessions of sentimental value are among the hardest to come to terms with losing. Whether it’s your wedding dress, your personal photos or the memorabilia you have spent your life collecting, they’re all devastating to lose. If there was a way we could recreate these items and return them to you, we would. Unfortunately, that’s not always possible. What we can do, is make sure that your valuables are insured and that their value is protected. While no dollar amount can restore a burned photo album or a stolen Mickey Mantle rookie card in mint condition, we can provide you with the personal property coverage you need to start getting back what you lost. Below we outline 13 items you may not have thought to insure, both in the home and out of it. While standard home insurance covers your personal belongings, the actual dollar amount these items are insured for may only be a fraction of their actual value. If your home contains many high value items, it’s possible you won’t receive the full amount needed to replace them should disaster strike. How much coverage do you need to insure your belongings? This depends on your personal situation. Creating a home inventory checklist can help you estimate the value of your belongings to compare with your coverage. 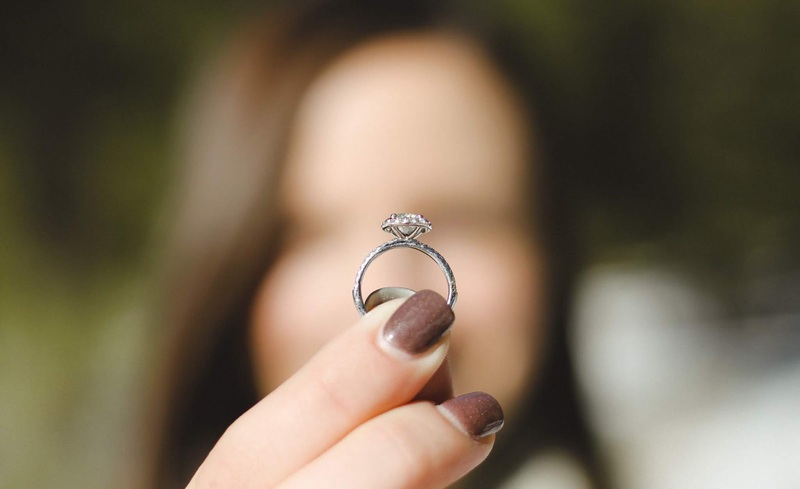 Whether it’s your wedding ring or a necklace passed down through generations, jewelry can go missing in a heartbeat, no matter how careful you are. Having extra coverage for your jewelry helps protect you from everything losses such as a theft, or a broken clasp that caused your favorite necklace to fall off on a night out. In a home break in, electronics are among the most common items stolen. According to the security company, Reolink, laptops, iPads and smartphones are on the top of the list for most stolen items. The portability and high cash value makes technology a hot ticket for home invaders. From break-ins to a poorly placed cup of coffee or a cat who thinks that your laptop belongs on the floor instead of the desk, make sure your electronics are completely covered. While insuring the hardware won't back up the data (that’s also a good idea), it will help you replace the stolen equipment and get back online sooner. You can spend a lifetime building a collection of stamps, baseball cards or antiques only to have them destroyed in one event. Collections like these have the potential to be worth significantly more than their insured value, which means additional coverage is always a good idea. Truly high value collections, those that were likely to appreciate in value or those with a personal connection, may never be replaceable. Extra insurance can help you begin rebuilding and take some of the pain out of the loss. Your home appliances may be covered by your homeowners policy; however, not in every situation. While damage from power surges from lightning might be covered, normal wear and tear usually is not. There are also deductible and replacement cost limitations to consider. The depreciated value of a high-end appliance might make the replacement value lower than the amount you spent or the amount needed to replace it. Depending on the policy you have, you may want to consider additional property insurance to help offset your costs. When your power goes out the food you have in a refrigerator or freezer may not be covered by your standard homeowners policy. For most people, their refrigerator contents may include basics and condiments or you might have expensive meats and produce on hand. It’s worth knowing how your policy extends to your perishables. Many people who have a home gym have invested in it greatly. Elliptical machines, treadmills and other sports equipment can cost thousands of dollars. They aren't likely to be pocketed in a robbery, but they can be destroyed by a fire or other disaster. It is definitely worth going the extra mile for coverage in the event of a loss. Like many other things on this list, furniture has standard coverage under a homeowners policy. It’s also one of the most important things a house needs to feel like a home. If your furniture is stolen or destroyed you’ll want to replace it quickly. If you’ve invested in high quality seating and dining, purchasing extra coverage will go a long way toward getting your home back to normal. From the Steinway in the living room to a child’s violin, musical instruments are high value items in the home. When you’re rebuilding the contents of your home there may be other needs that top the priority list, but that doesn't necessarily make them less important to your family. Extra insurance is a good way to cover your bases. If these names mean something to you, and also appear in your closet, a standard homeowners insurance policy won’t help you replace them. For that, you’re going to need additional insurance coverage. It’s impossible to put a dollar value on the drawings from your youth or a handmade portrait drawn by a child but the $400 piece purchased from an art gallery in NYC certainly has a price tag. It may also be higher than standard home insurance coverage allows. From oil landscapes to modern sculpture, if you are a connoisseur of art, protect your investment with extra insurance. A homeowners policy extends outside the home to cover the contents of detached structures like garages and sheds. If you think all of your valuables are safely in the house, consider some of these high value items you may have outside of the house. A couple of wrenches and screwdrivers are unlikely to be stolen and their destruction is little to lose sleep over but bigger tools like bandsaws or a core drill might be a more substantial loss. A $300 drill may not be worth filing a claim with a deductible but it’s also not cheap to replace. Additional property insurance may help. Believe it or not your homeowners policy will cover trees and shrubs that get damaged by forces like fire, lightning, or acts of vandalism but there is typically a limit on their replacement value. If your landscaping is a lovingly cultivated, expensive point of pride, then look in to the extra coverage to get it growing again, as painlessly as possible. Your ATV, snowmobile, boat or RV may be your weekend outlet but they are also a serious investment of time and money. As much fun as it is to take your favorite ride out for a spin, they are highly susceptible to theft, break downs and accidents. These vehicles are not covered under standard home or auto policies and require separate insurance. While some states have minimum requirements for liability coverage, you may want to consider more than what is legally required. While liability covers harm to others in case of an incident, it won’t help you replace your vehicle. That’s why additional property coverage is a smart measure. If you’re not sure if your personal possessions are really worth the extra coverage, the first step should always be to talk to your agent. No one wants to think about the worst-case scenario. But it can bring you peace of mind to know that no matter what happens, you’ll have the means to rebuild.